And it’s worried that could take a big bite out of its bottom line. APPLE HAS WARNED it could be made to pay a decade of extra taxes for Ireland potentially taking a billion-dollar bite out of its bottom line. The world’s biggest public company, which this week announced a booming $58 billion in sales for the first three months of 2015, said the financial hit would come if European officials slapped it with a negative ruling for its tax dealings in the Republic. In its latest company filing, Apple said it believed the European Commission’s allegations were “without merit” – but if findings went against it and the Irish government that could lead to a significant tax bill. “If the European Commission were to conclude against Ireland, the European Commission could require Ireland to recover from the company past taxes covering a period of up to 10 years reflective of the disallowed state aid,” it said. The Financial Times reported a “material event” under US securities rules was usually considered anything that could cost the company 5% of its average earnings over the past three years – a figure potentially worth over $2.5 billion (€2.2 billion). Both the US tech giant and Ireland deny any wrongdoing, with Finance Minister Michael Noonan claiming the case against it was “weak” and adding it would use all legal options to fight an adverse finding. 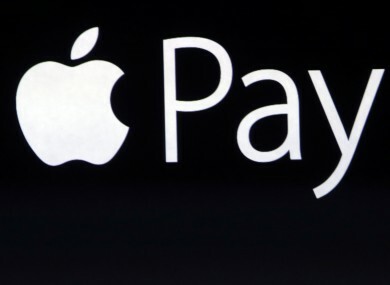 Apple has said it simply followed Irish tax rules. The case centres on the tax dealings of two Irish-registered Apple offshoots, Apple Sales International (ASI) and Apple Operations Europe. Figures from 2012 showed ASI booked revenues of $63.9 billion, but Irish officials agreed to set its taxable income at between €50 and €60 million – roughly 0.1% of the total – as the amount that represented its local operations. Authorities in the Republic didn’t make clear in which country either of the two companies was officially tax resident, which meant it was unknown how much tax – if any – the subsidiaries paid on their billions in revenue. In last year’s budget, Noonan announced the government was phasing out the controversial “double Irish” loophole which allowed companies to be registered in Ireland but pay tax offshore. That arrangement made it possible for firms to siphon profits into tax havens like Bermuda without breaking any laws. Email “Apple could be forced to pay 10 years of back taxes to Ireland”. Feedback on “Apple could be forced to pay 10 years of back taxes to Ireland”.